TThe stretch wrapper CSA 211 is an efficient rotating stretch wrapper, to stack loose pallet loads securely. 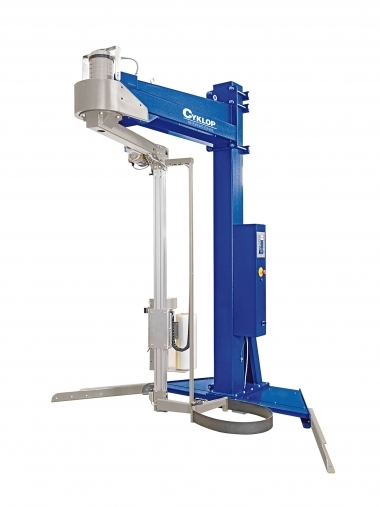 The CSA 211 is suitable for wrapping of unstable and/or light products in places where the machine should stay, for example free from the floor. This machine is equipped with a clever pre-stretch system with adjustable pre-stretch of up to 400%. The choice of pre-stretch depends on the type of stretch film and load. The CSA 211 is easy to operate due to the clear touchscreen display.